Are you having trouble holding onto things? Do you find yourself constantly dropping your keys, or do you have difficulty holding onto your coffee cup or maybe the fork you pull from your drawer keeps slipping out of your hands. While you might just be clumsy, you may also have a condition that is affecting your grip. Below are 3 conditions that can cause hand weakness, to help answer the question, why do I keep dropping things? Arthritis can cause your joints to lose the cartilage that allows them to move smoothly against each other. As the cartilage deteriorates, pain and swelling can occur. 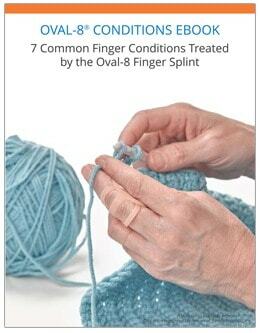 The pain, swelling, and stiffness of arthritis can make it difficult to bend your fingers and to pinch your thumb and fingers together. This occurs most often in the base of the thumb or in the joints of your fingers. 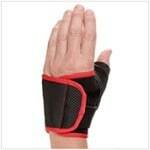 Numbness and swelling in the hands can also be caused by inflamed tendons, a condition called tendinitis. In most cases, tendinitis is caused by overuse from activities such as typing, cleaning, painting walls and sports. When overworked tendons become irritated they can develop small tears causing pain and muscle weakness. With tendinitis you may experience numbness or tingling in any finger, including your pinky. Activities and sports requiring the same repeated motion, such as swinging a tennis racket or typing on a keyboard, can create stress on hands and fingers. Repetitive tasks can irritate nerves, tendons, and bone resulting in pain, swelling, and loss of muscle strength. Those symptoms together are called Repetitive Stress Injuries (RSIs), and one of the most common RSIs is Carpal Tunnel Syndrome (CTS). CTS can start with a aching in the wrist that extends to your hands or up your arm. Other symptoms can include tingling or numbness in the fingers, especially at night. 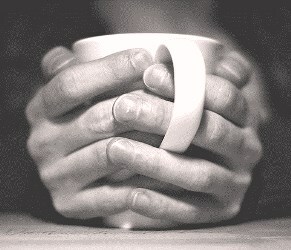 Over time, your hand can become weak or numb. Treatment for these conditions should always start with talking to your health care provider who can diagnosis your problem and give you recommendations for treatment. Depending on the diagnosis, treatment options can include include applying heat and cold, wearing a splint or brace for support or rest, occupational or physical therapy and medications to reduce pain and swelling. 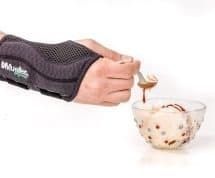 Splints such as the 3pp Design Line Thumb Splint relieve thumb pain when pinching or gripping can help alleviate your symptoms and improve your ability to hold objects without the fear of dropping them. Gloves that have silicone dots or tacky material in the palm are a great solution if you have compromised hand strength. 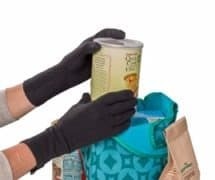 The Protexgloves with grips can help make it easier and safer to lift a coffee pot or hot water and put away your dishes. The Mueller Green Fitted Wrist Brace can help relieve your symptoms of Carpal Tunnel Syndrome. Looking for More Information on Products That Can Help?